Our main products are pelagic fish and dried fish for human consumption. 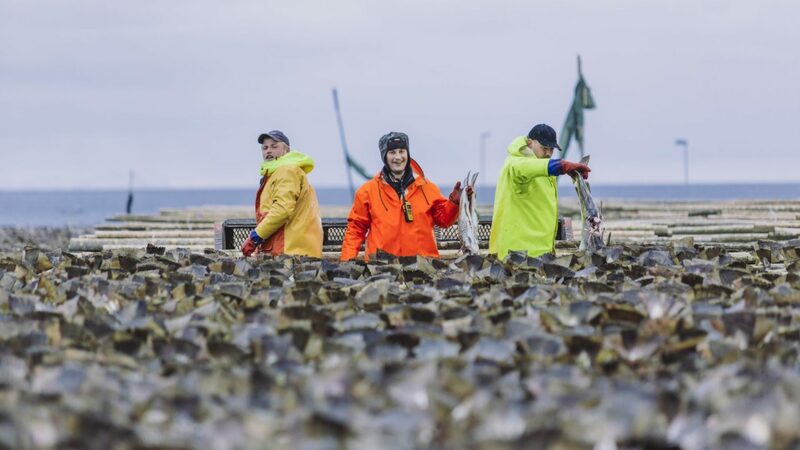 In the Barents Sea and the Norwegian Sea, in the cold north beneath the magnificent northern lights, we capture the cleanest and best fish found in the ocean. We have the world’s best raw materials that are caught on a sustainable basis. Lofoten Viking is located north of the polar circle. Our main products are pelagic fish and dried fish for human consumption. We produce food of fish such as herring, mackerel and capelin, these are pelagic fish species. For dry fish we use skrei, this is the name of cod caught on its annual migration from the Barents Sea to Lofoten. Offcuts from fish that cannot be used for human consumption go to products that are processed into animal food, for example food for salmon and trout. Everything on the fish has a value and is used, nothing is thrown or released into the environment.